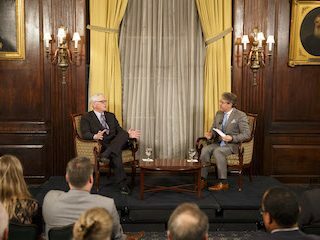 Hugh Hewitt is a lawyer, law professor and Emmy-award winning broadcast journalist whose nationally syndicated radio show is heard in more than 120 cities across the United States every weekday afternoon. He is a graduate of Harvard College and the University of Michigan Law School, and has been teaching Constitutional Law at Chapman University Law School since it opened in 1995. He served for nearly six years in the Reagan Administration in a variety of posts, including Assistant Counsel in the White House and Special Assistant to two Attorneys General. He returned to California in 1989 to oversee the construction of the Nixon Library in Yorba Linda, Hewitt has served as a member of the California Arts Council, the South Coast Air Quality Management District, and the Orange County Children and Families Commission. Hewitt has been a frequent guest on CNN, Fox, and MSNBC. He has written for The New York Times, The Wall Street Journal, and the Los Angeles Times. He has received three Emmys for his work as co-host of the Life & Times program, a nightly news and public affairs program that aired on the Los Angeles PBS affiliate, KCET, from 1992 until 2007. Hewitt also conceived and hosted the 1996 PBS series, Searching for God in America. 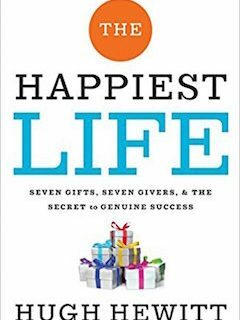 He is the author of a dozen books, including two New York Times best-sellers. 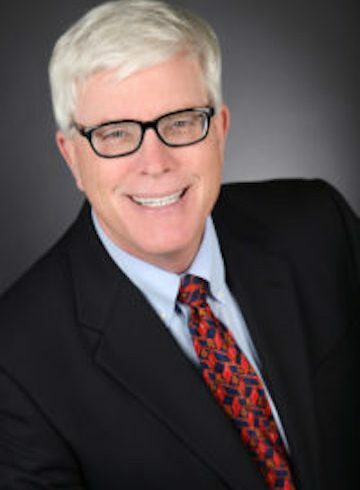 Hewitt writes daily for his blog, HughHewitt.com which is among the most visited political blogs in the U.S. He is also a weekly columnist for The Washington Examiner and Townhall.com.